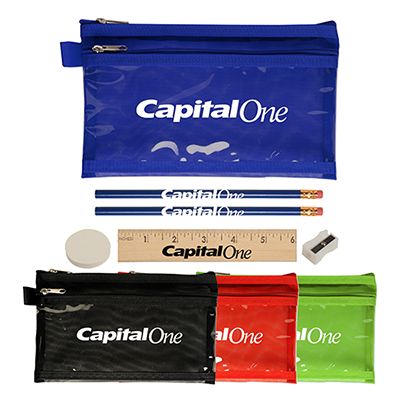 Take your brand awareness to a whole new level with the custom promotional School Kit! 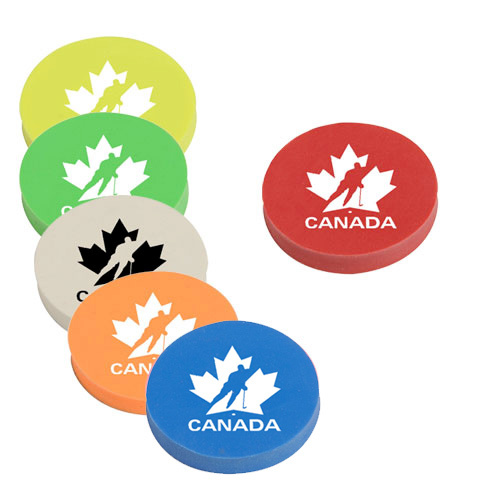 Product Size: 9-1/4" x 6-1/2"
The custom promotional School Kit is a great giveaway to boost your brand name at school events or education programs. 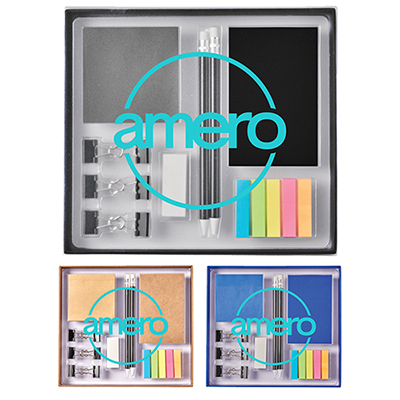 Made for the students, this kit features 6” ruler, pencil sharpener, eraser stick, and a 2” pencil. 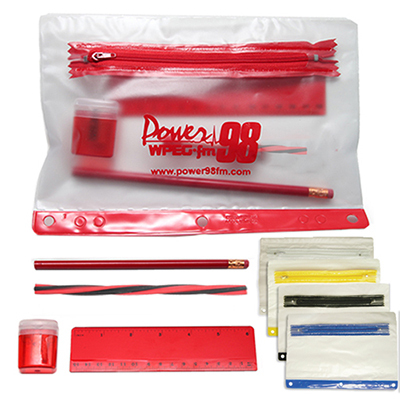 These items are packed in a handy PVC pouch to keep the stationary organized. 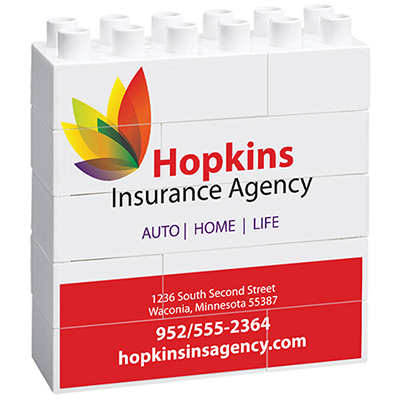 Imprint your company name and logo on it. Order in bulk now!